Beyer Carpet Cleaning is best known for their quality service in carpet cleaning; however, they are more than just a one service show. They do multiple services that most people wouldn’t think of cleaning. 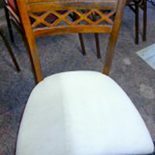 Most people do not have their upholstery cleaning done by a professional upholstery cleaning company. They usually do their best to wipe it down somehow or throw it in the washer and dryer. Although, these could be useful methods they aren’t always the best and are just temporary solutions to long term use. 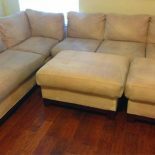 Professional upholstery cleaning requires the best upholstery cleaners in San Antonio in order to get the job done right. Upholstery material is delicate compared to carpet cleaning. It can easily shrink or stain or rip. In order to avoid damage the best professional upholstery cleaners need to know what they are doing. There are some materials that should not be steamed cleaned and then there are those that can be with no hassle. 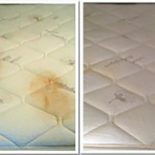 A professional upholstery cleaning company needs to know the difference be assured of their options before doing the work. It may seem unusual or annoying to be asked all sorts of questions about your furniture by a carpet cleaning professional but they must know what they are working with to provide the best cleaning service possible. Beyer Carpet Cleaning will ask their customers what kind of material their upholstery is before they show up and just start cleaning. They will ask the condition and what you want to be done. If they cannot do the job they will let you know up front so there aren’t any last minute surprises. No one wants to schedule an appointment just for it be canceled upon arrival because the so called professional didn’t know what they were getting themselves into. With today’s technology there are new ways of cleaning upholstery but one that never fades away and only improves on the cleaning solutions is steam cleaning. Steam cleaning has been a long term use for upholstery cleaning, carpet cleaning and even tile cleaning. Steam cleaning alone can do some good because it kills germs and bacteria when steam cleaning of at least 200 degrees. It does take more than just a steam clean if you want to get rid of stains and really take care of your carpet, upholstery or tile cleaning. When it comes to upholstery cleaning San Antonio, Beyer Carpet Cleaning really gives you your monies worth. For one, the price for cleaning a sofa and loveseat is less than most of their competitors and two, they are really giving you a full service upholstery cleaning. Their steam clean involves a spot treatment which helps rid common spots and stains such as mud, dirt, food and drink spill. They also include a mild deodorizer which helps freshen up the fabric of the upholstery. They not only clean the obvious sides but they will remove the cushions, if they are detachable, and clean both sides. They will also clean the arm rests, the sides of the furniture, the back and the lower front. Not only are they steam cleaning but also vacuuming while they are cleaning. They are getting rid of all the junk that lies within the fabric that cannot be seen but also the junk that gets in between that can be seen. A full service upholstery cleaning with Beyer Carpet Cleaning San Antonio means just that, a full service cleaning. Upholstery cleaning doesn’t stop at sofas but it also includes mattresses, vehicle interiors, dining chairs, etc. So call Beyer Carpet Cleaning and see what they can do for you.